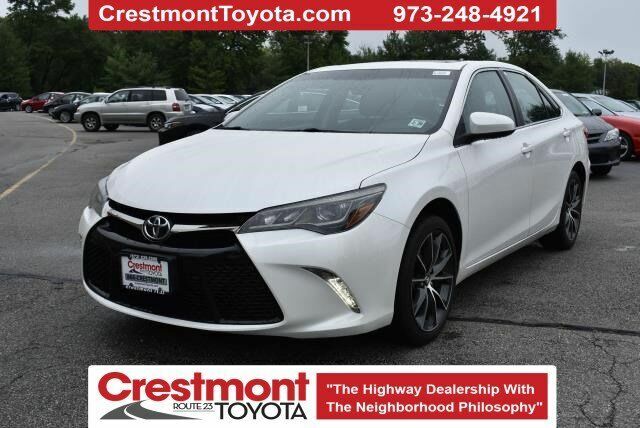 This beautiful 1-owner, certified 2015 Camry XSE V6 can be yours today! Enjoy the power of a V6 and the comfort of a Camry for an amazing price. This vehicle comes equipped with leather trimmed suede seats, heated front seats, navigation with premium audio, and a sunroof. For extra convenience and safety this vehicle also comes equipped with blind spot monitor with rear cross traffic alert, backup camera and a smart key system. You are off to a great start by considering a used Toyota as your next vehicle. Choosing a Certified Toyota used vehicle is even smarter. Not only has this Certified Toyota gone through a 160 point quality assurance inspection it comes with a 7 year/100,000 mile limited powertrain warranty as well as 1 year of roadside assistance. Toyota Certified Used Vehicles are also eligible for special finance rates typically reserved for new vehicles. 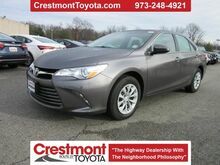 Reach a Crestmont Toyota representative at 973-248-4921 for more information.Price(s) include(s) all costs to be paid by a consumer, except for licensing costs, registration fees, and taxes. Dealer documentation fee of $396.50 is included in advertised price.